﻿ Best Price on Hotel Casa del Arbol Centro in San Pedro Sula + Reviews! This eco-sustentable hotel is located 5 minutes’ walk from Parque Central Main Square and 2953 feet from Morazan Stadium. It features free Wi-Fi and free private parking. 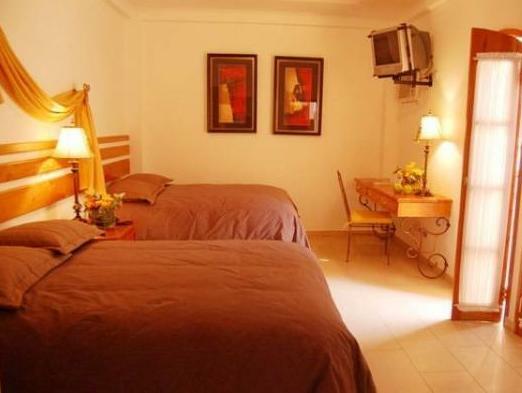 The air-conditioned rooms at Hotel Casa del Arbol Centro feature a work desk, wardrobe and flat-screen cable TV. The bathroom is private with shower and free toiletries. All of the rooms have city views. Continental breakfast is included in the rate and there is a mango tree on site. Restaurants within 0.6 mi from the hotel are also an option for guests. Hotel Casa del Arbol Centro is 10 minutes’ drive from the Metropolitan Bus Station and from the Metropolitan Olympic Stadium. Honduras International Airport is a 20-minute drive away.